This CD was first planned as a 3- or 4-track EP… the result turned out totally different: 13 “songs” mixed together (the CD contains 1 long track) with weird and dark atmospheres. Somebody described MS=MC as a ‘musical painting’, a relevant comparison. 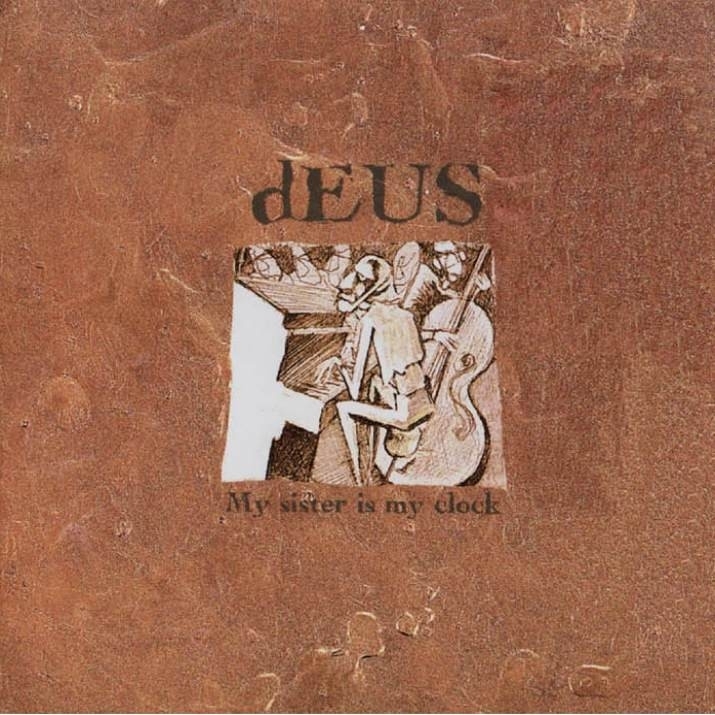 It’s not really a dEUS work, it’s more individual: some tracks are Klaas’s, others are Tom’s, some are Stef’s, others are Rudy’s, even Jules acted as composer on MS=MC! The Bang!-version was a mail-order only limited edition in a thick cardboard envelope (Phat-pak) containing 5 single-like sleeves, each of them containing a picture, a photograph or a drawing made by a member of the band + a sleeve containing the CD itself. There is also a very rare 13-track version of this release. A list of all versions of My Sister=My Clock, based on the information available on Discogs.